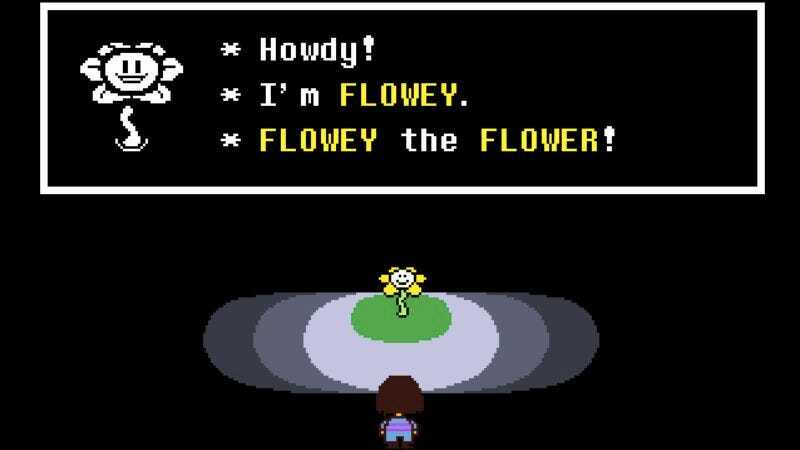 This article contains plot details from Undertale. At their core, most video games are power fantasies. Even when players aren’t beating down supervillains or dropping meteors on bad guys’ heads, they’re still the ones in control, the ones who can undo their mistakes with a reload or a simple press of the reset button. Even in games with tricks to subvert that power, the potential to wipe the slate clean and start over, forgiven of all past transgressions, is always there. Almost always, at least. Toby Fox’s Undertale is a lot of things. “Funny.” “Quirky.” “Occasionally infuriating.” “Meme-friendly.” “Overtly inspired by EarthBound.” “Clever.” (Always, and especially, “Clever.”) But one thing it is not, is “forgiving.” Players who violate the game’s rigidly defined moral code to a sufficient degree, who move heaven and hell to ignore the moral lessons the game slams down with all the subtlety of a giant robot bursting through a solid concrete wall, will find themselves placed beyond redemption with a rarely seen permanency. It starts out innocently enough. The player character (essentially—this gets kind of complicated as the game goes on) is a young child who finds themselves stranded in a underground world, inhabited by strange, semi-benevolent monsters. After a brief tutorial from a trash-talking, bullet-spewing flower, they’re quickly introduced to the central dilemma of Undertale’s Underground: Do they Fight their enemies? Or Spare them? Fighting is straightforward. A few timed button presses, and the monster is dead, usually looking a little sad or silly as it goes. Sparing is more complicated, turning every fight into a little puzzle to work out how to maneuver the player into the enemy’s good graces and achieve a bloodless win. And though it offers fewer material rewards, Sparing is clearly the game’s preferred option, with Fox doing everything in his power to make the various monsters feel like vibrant, real people, and the player feel like the worst sort of sociopath for taking their lives. At every turn, the choice of pacifism over conflict is reinforced by the story, which hammers home the idea that there is no monster so monstrous that they can’t be won over with kind words and a little simple consideration. From an actual moral standpoint, this is all a little ridiculous. Well-written or no, Papyrus the skeleton bro and Toriel the matronly goat lady aren’t actual living creatures, and striking them down carries all the ethical weight of conjuring up and then slaying a host of imaginary friends. (If Fox really didn’t want players murdering his creations, he maybe shouldn’t have implemented such an elaborate system for doing so.) But Undertale treats the choice to kill as important, and it reinforces the weight of that choice with a series of novel reactions. Undertale doesn’t forget, you see. It remembers everything players do, throwing their choices back in their faces and reminding them of past mistakes. Not just within the current game, either; the guilt-stricken player who restarts their world to undo an accidental murder will find that same tutorial flower leering at them, giddy at the knowledge of supposedly forgotten sins. He knows what you did. Even so, this cycle of death and condemnation isn’t permanent. A player who makes it all the way to the game’s true ending—which, unsurprisingly, requires a completely pacifistic run—will be given an option for a “true” reset that restores the game to a vanilla state, even as it quietly condemns the player for undoing an ending where everyone got what they wanted most. Every saved decision is cleared, every bad mistake erased. Every bad mistake, save one. Undertale’s so-called “No Mercy” run isn’t as aptly named as it could be. To stick to the bloody path, the player doesn’t merely avoid sparing creatures’ lives; they must seek them out to inflict violence. They must exterminate. They must leave the Underground an empty, desolate place, with a dead-eyed look in their eyes and a knife in their hand. It’s not fun, by any conceivable measure of the word. It’s tedious and boring to grind through the increasingly empty dungeons, killing everything encountered until only an eerie, “But nobody came…” greets the beginning of a battle. The only moments of excitement come from the few times the game actively pushes back against the player’s murderous crusade, throwing roadblocks in their way to try to stymie their progress, like a truly extraordinary final boss who pulls out every trick in the book to dissuade his unstoppable, unkillable opponent—i.e., a player who can save and reload at will—from finishing the run. And then, when every living creature in the world is dead, your character turns their knife on the person behind the monitor, rushing the camera to bring the world to its ultimate end. Oddly enough, this isn’t the permanent sin that damns a player’s game forever. Killing the world is vile in Undertale’s moral cosmology, but it isn’t the ultimate crime. No, that comes the next time the game boots up, when the replay-minded player is given a simple choice: reset your virtual playground once again, in exchange for giving a creature of endless malevolence possession of your soul. It’s not the urge to kill that Undertale condemns, you see, but the urge to tinker, to see everything, to “complete the game.” The urge to make choices, and then erase them, free of consequences. To save a world in one timeline, and then destroy it in another, just to see what happens. And whether that particular moral framework holds weight—we are, after all, talking about video games, not actual life and death—it’s one the game intends to make stick. The choice to reset Undertale after a No Mercy run is a choice that can never be taken back. From the moment that decision is made, the player’s game is tainted. A flag is placed in your computer files—and attached to your Steam Cloud, if you’re using the service, ensuring that even if you find and delete the flag, the game will merrily redownload it the next time Undertale is started—that marks you as soulless. In practical terms, the distinction is meaningless; soulless players are free to play the game as they normally would, making the same choices they always have, with no one in the Underground knowing they’ve got a monster in their midst. It’s all the same, until the player achieves the game’s happy ending, that is. At that point a short coda is added, where the entity that’s really in charge—the killing-obsessed abomination the player partnered with in their now-erased quest to exterminate the Underground—reminds them that they’re always watching. It’s a tiny change, but one that’s potent with meaning. Outside of hacking—and a tacit admission that you don’t care about the message the game is peddling—there is no way to undo the soulless condition. No reset button, no hard reboot, no freedom from consequences. Every “good” ending the player ever gets will carry the taint of their decision, a reminder that some things are so heinous that they can never be taken back. When Undertale says it wants player’s choices to matter, in this case, it goddamned means it.